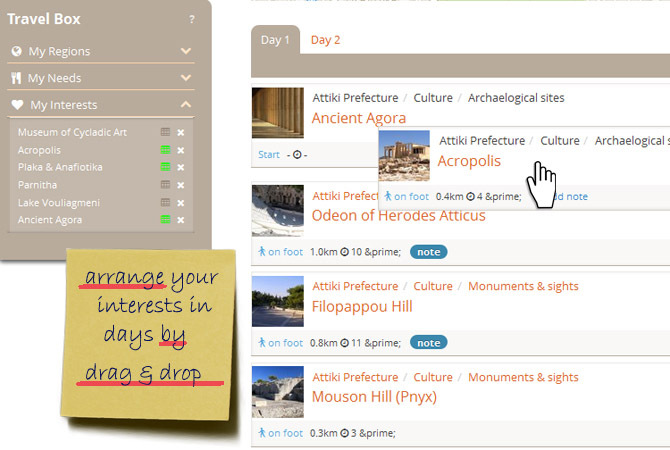 Organizing your trip, becomes fun with 'Plan your trip'. 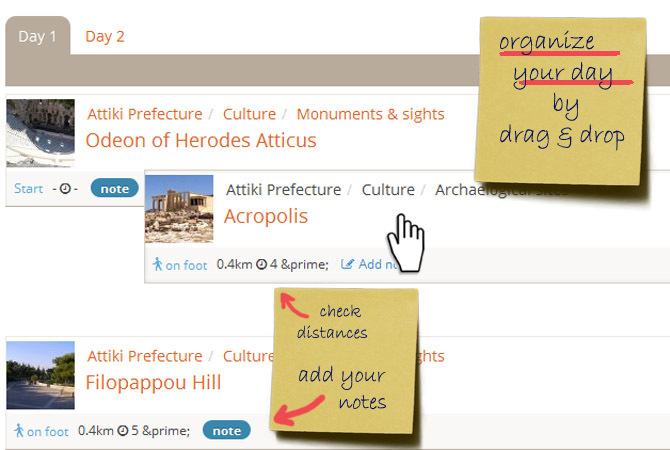 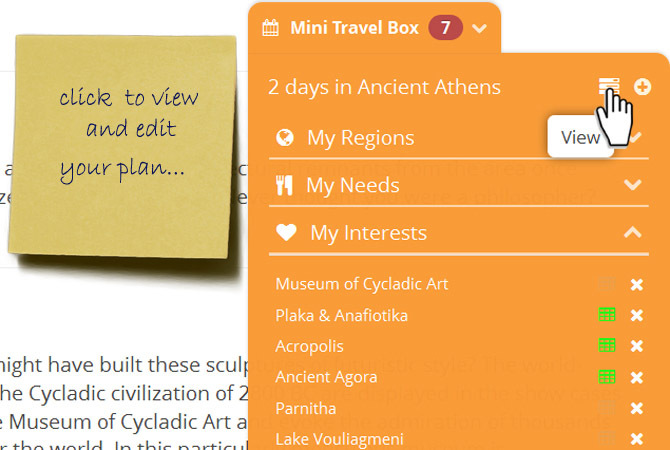 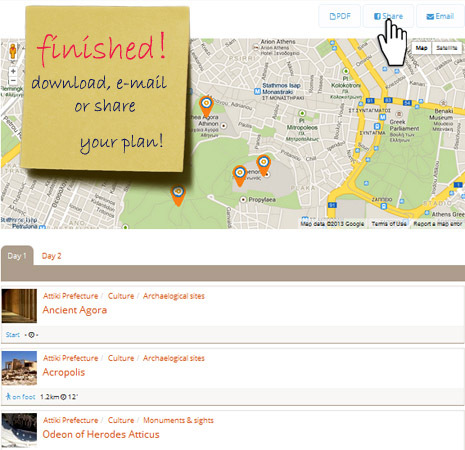 You can easily create your personal travel guide, in every detail. 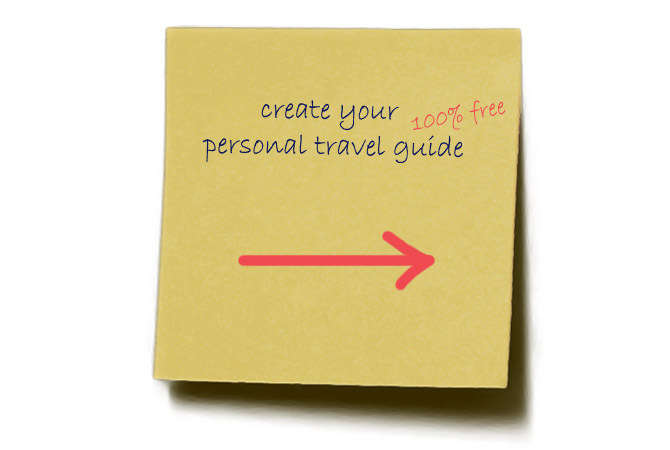 Unlimited travel plans, 100% free! 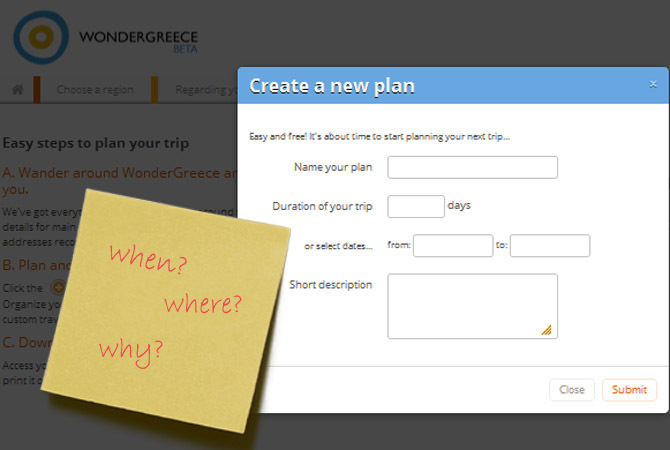 Create, share, get your friend's opinion and make your trip real! 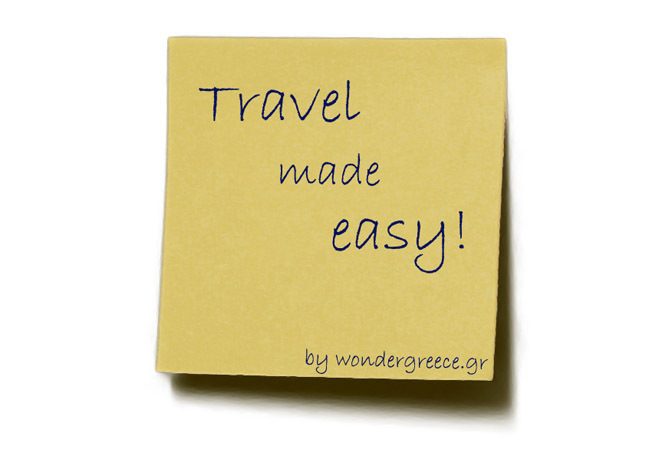 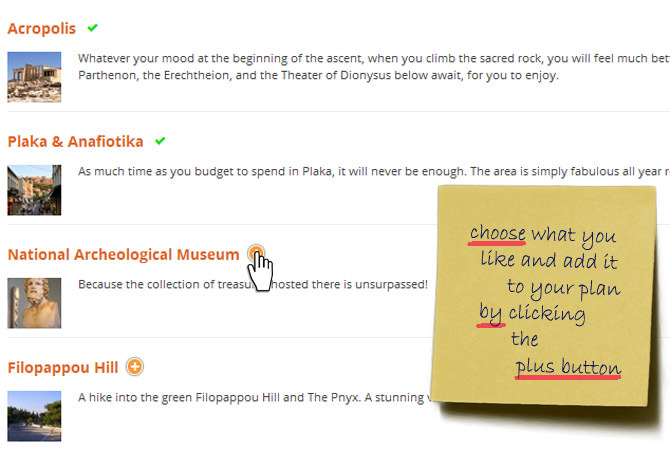 Travel to Greece made easy!